Ransomware – is your data safe? Recently we have all become more aware of the threat from Malware on our computer systems and files being encrypted. Malware can do trivial things, such as open pop-ups when browsing the internet which then redirects you to different sites. This also installs software on your computer then proceeds to say you must pay for a license to use it! Displaying a message on your screen accusing you of accessing an illegal site of one type or another, this then tries to charge you a fee to remove the software. This is not necessary as it can be removed easily. Ransomware is a little more alarming and potentially disastrous, because it encrypts all, or most of, your files to stop you having access to them. This is the same as someone stealing all your files! Once Ransomware encrypts your files you can no longer gain access to the data stored in them. This could affect Word and Excel files, together with Sage and other data as well as programs. 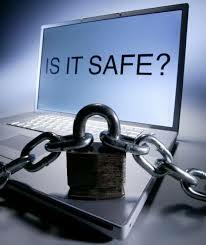 When files have been encrypted, the encryption key used to encrypt files is moved to CryptoLocker’s Server. The User is then presented with a message to say that the files are encrypted and they have a set number of hours to pay to unencrypt them, after which the key will be destroyed. If the User pays the fee it is not known if they will be unencrypted or, even if more money will be demanded. As the files are encrypted there is nothing that you can do to unencrypt them without the key. You may have to wipe the computer completely clean and reinstall your files afterward. That assumes you have previously “backed up” or stored those files on a USB device, website service or some other way. If you haven’t, your photos, financial records and other documents could be lost. From time to time things slip through “the net”, we may see an email drop into our Inbox from a source we do not recognise, or after searching for something on the internet, be it a site we’re not 100% sure about. It is at these times we need to be vigilant. If you are on a website that prompts you to download software our advice is don’t. 99% of the time it is some form of Malware.